Are you an event professional looking for London iPad Hire? Then look no further, we are a UK based event technology company with an incredible number of products available for hire at your event. 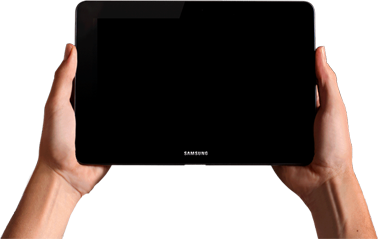 Hire Tablets offer the latest models of event technology. Hire Tablets are currently the market leaders and largest suppliers of iPads and laptops across the UK. We can proudly say that we have partnered with over 1000 clients across the country and have an available stock of a minimum of 3000 devices ready for hire. In addition to our unbeatable pricing plans and huge stock availability, we have team of event professionals with hands on knowledge and expertise specifically trained to provide the best tailored service for your event. Our excellent customer support system is our biggest competency as it helps us maintain clients’ satisfaction level. Our client’s testimonials demonstrate their level of satisfaction. Whether your business needs are for only one device or thousands of devices, HireTablets have optimal way out for you. You can call us anytime; our representatives are always available to help you with your queries. HireTablets UK provides Corporate Business iPad hire for Events in London, Wales, Manchester, Birmingham, Glasgow, Dundee, Dublin and all across Europe as well as in Germany, Ireland, France and Swiss. Want to hire an iPad for your upcoming event? Make the most of your social event with rental iPads by HireTablets. HireTablets is largest supplier of rental iPads across UK. You can hire whatever number of iPads, iPad Pro, iPad Air you want. Renting iPad Mini for business meetings and presentations. In today’s business environment, we have digitalised ourselves in every aspect, it has become very limited to present a successful and interactive business meeting without the use of a technological device in our hands. At HireTablets we offer the iPad Mini for hire to help engage your visitants during board meetings, it is a compact device and collaborates instantly with other Apple devices. Hire iPad Pro for smart event technology solutions. Experience the versatility and high performance ofthe iPad Pro one of the most hiredproduct by our clients. The iPad Pro can be used as a laptop, studio and tablet in one, providing flexible options for your users at events.Inaddition, Hire Tablets can arrange for our technical event staff to install apps ready for use are your event. Renting iPad 4 with event wifi for distinguished exhibitions. Hire Tablets can arrange for event wifi setup on UK iPad hire at your exhibition and trade shows. Our iPad 4 devices are great to hire for event check-in and event registration processes, with ease you can register your guests for your exhibitions, a hassle-free solution all the way! Hire Tablets also provide a range of iPad floor stand hire – this is a must have for exhibitions, products will be secured and check-in processes simplified. iPad Air – the cheapest iPad hire across London, Manchester and Birmingham. The iPad Air is afantastic device to use for a wide range of events nationally, the iPad Air encases a variety of responsive features and app availability. It entertains a stunning design;high retina displays and powerful processors the perfect product to launch live presentations through our integrated app service.